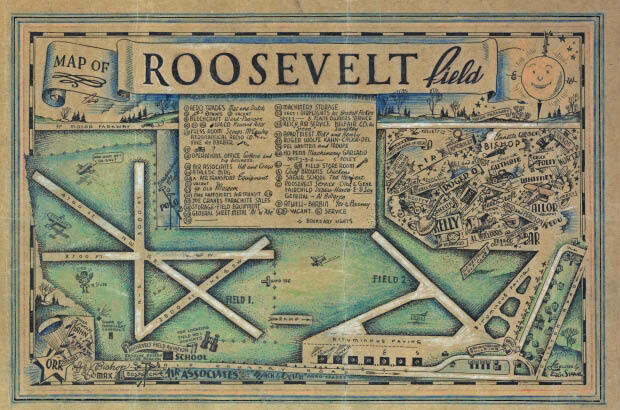 Art Kleiner discovered this 1932 illustrated map of the Motor Parkway in a portfolio of aerial photographs taken by Captain Alfred G. Buckham. The LIRR was called the "cannonball to the Hamptons." October 1906 map of the proposed Motor Parkway from Floral Park to Riverhead. 1907 map including the section from Lake Ronkonoma to Riverhead which was never built. 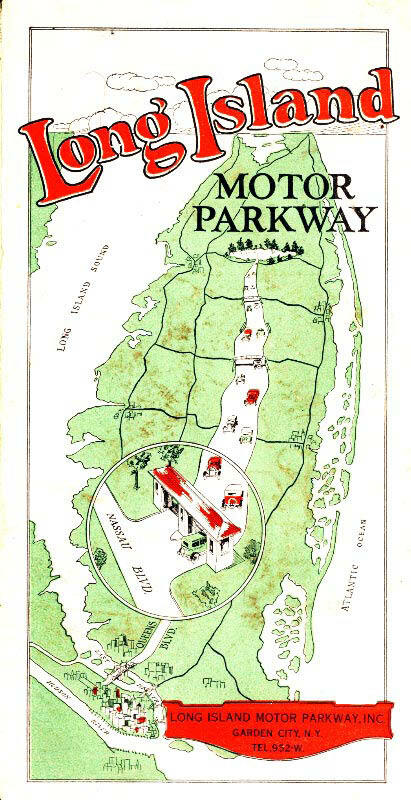 A 1927 map showing the Motor Parkway in front of the Long Island Aviation Country Club . 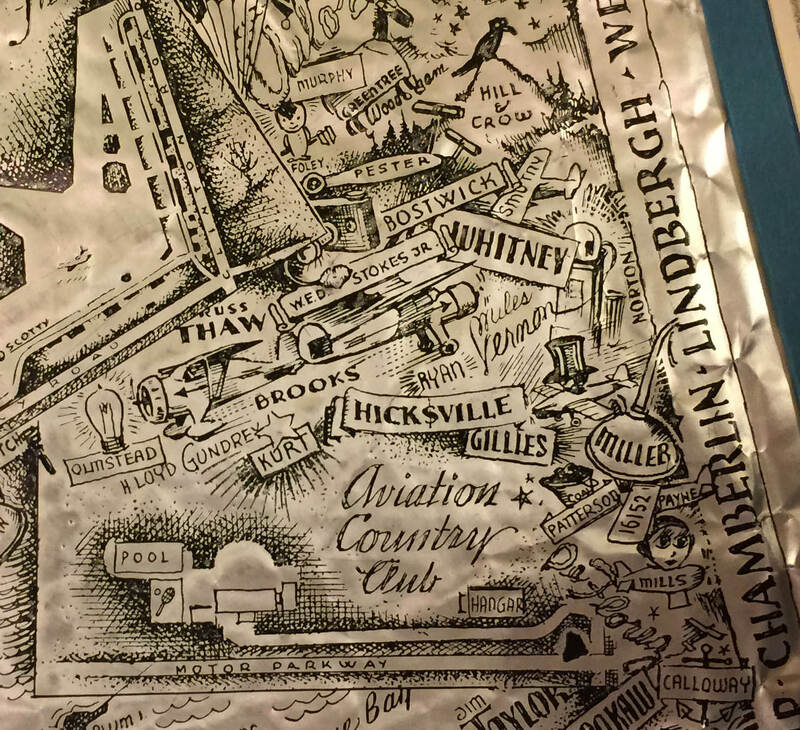 This rare map was hammered on tin foil by Eric Sloane for the mayor of New York City. A 1928 brochure promoting the extension of the Motor Parkway to Nassau Boulevard in Queens. Motor Parkway map circa 1930. The Motor Parkway in front of Roosevelt Field in 1933. The original map was made with tin foil by Eric Sloane. Tin foil maps, interesting. Must be a tedious process. Won’t age like paper I guess, but would probably be set in a frame w/glass. I learned something new today. 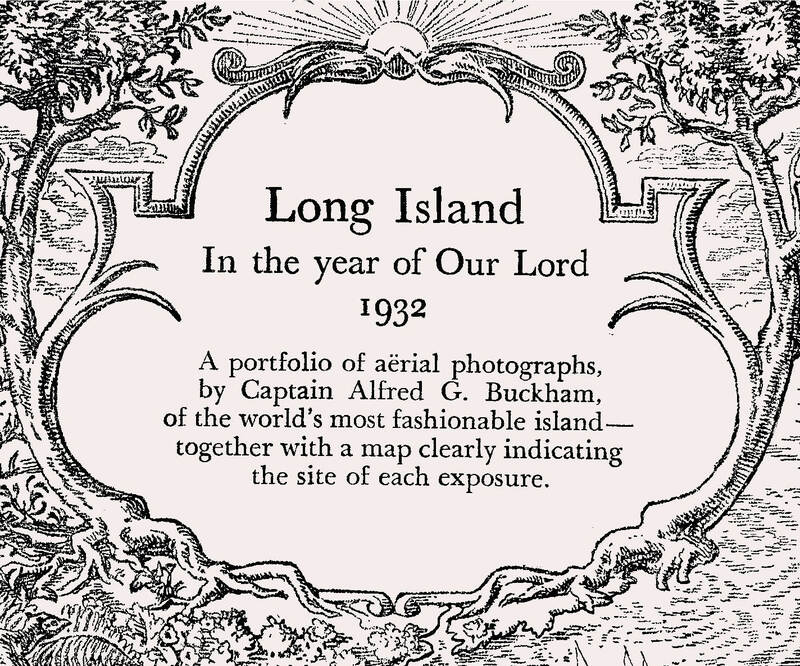 Further research has uncovered the Buckham portfolio of LI aerials to be in the June, 1932 edition of Fortune Magazine. Finding this edition on microform at Hofstra University I was able to print some aerials and accompanying stories, however the quality of the aerials leaves much to be desired. I’ll see about going back and taking actual photos of the microform to see if that will help. in the meantime, here’s some text that accompanied the first picture, titled “Gateway to an Island Paradise, . . but also portal to a motorist’s inferno, the Queensboro Bridge” . “Excellent highways stretch away down Long Island: Northern Boulevard, Jericho Turnpike, Sunrise Highway, and the Merrick Road. But they tend to come to strange and abrupt ends some miles from the Queensboro Bridge, leaving the motorist to make his way as best he may through an intervening hell of branch factories, ash heaps, row on row of jerry-built houses, cheap radio stores, and unlabeled perplexing avenues. No one can avoid this ordeal”. Interesting that even though the Motor Parkway was the only highway shown on the map, it was not mentioned in the text - no respect! Hopefully more to come . . .
Also, what was that Hillside Ave Lodge on south side of LIMP between Rocky Hill Rd and Great Neck Lodge? 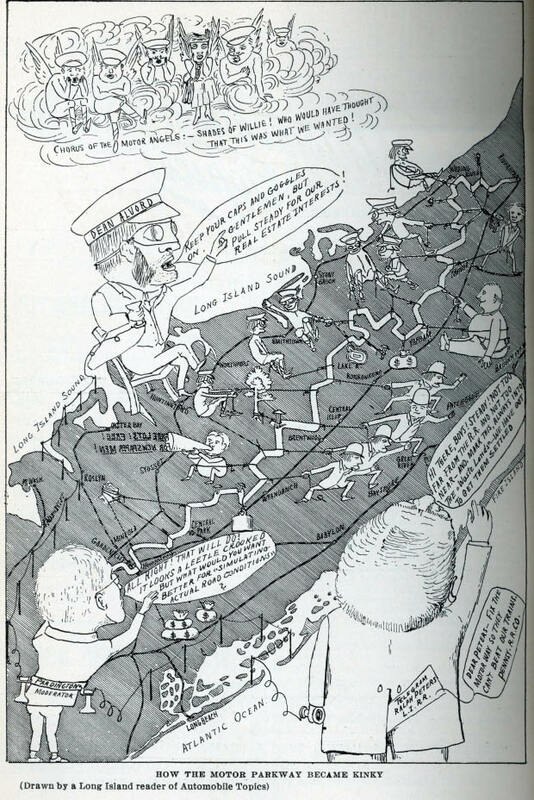 I dont think it was proposed being a ~1930 map. 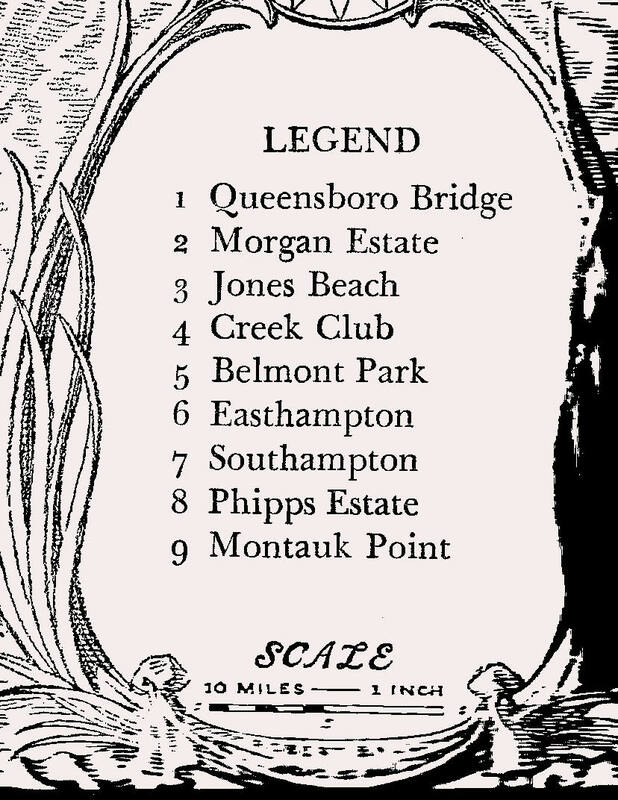 Based on its location, it puts it somewhere between Winchester Av and the Queens County Farm. Possibly another kiosk? ......Hillside Ave Lodge (1921-1928). Any clue on location?